Not only was it a collection of boring colors, but they didn't do anything nice with the bottles. Why not put the Coca Cola logo on the cap like they did with the Gwen Stefani signature or the horses with the new Mustang collection? Such a bummer and I resisted buying any of them for quite some time. But I did look at some swatches and discovered this collection actually has some very nice understated beauties in it. So I finally caved and ordered a few, today I have my favorite to show you. 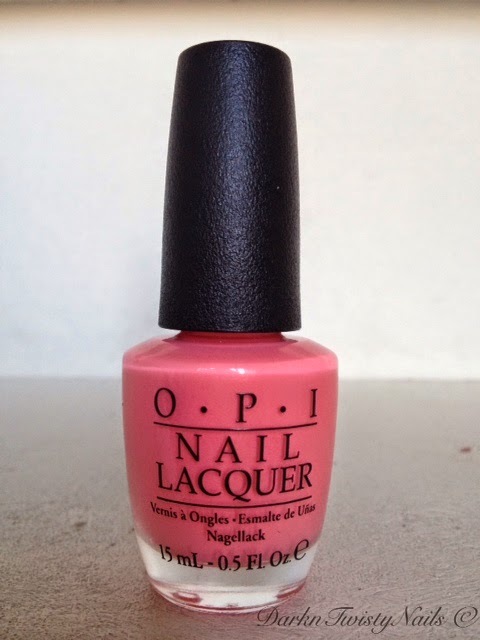 OPI Sorry I'm fizzy today is a subtle pinky coral (or a coraly pink, what ever floats your boat!). This is supposed to be inspired by Vanilla Coke (which I've never tried, but it sounds disgusting to be honest), but I have no idea how they came up with this color... Maybe they got this color by mixing Coca Cola's signature red with the light beige vanilla color? Anyway, it's gorgeous! The formula is ok, a little on the thin side, a little patchy and I did need 3 coats to get it completely opaque and even. It dries fast enough and very shiny though, so 3 coats is ok. You don't really need to add a top coat, but I always do to prolong my mani. I just can't get over how gorgeous this is! I showed some friends of mine a picture because I'm so in love and one friend had to have it straight away and she ordered it on the spot and another was totally flabbergasted that I actually loved a pink polish. Yes, I know, not my color, but just look at it! How can I resist? 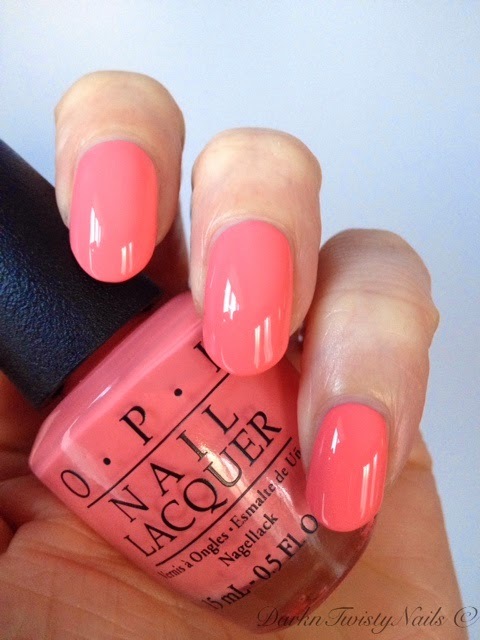 Have you tried any of the OPI Coca Cola polishes and if so, what did you think? Ik vind het ook zo jammer dat ze niks om de doppen heen hebben gedaan! Maar dit lakje maakt een hele hoop goed! Ik denk dat hij je fantastisch zou staan! Beautiful on you Anca...I wish I could wear this shade, but it just doesn't do my skin tone justice. I didn't expect it to look so nice, but I have to say, I'm really smitten. On my wishlist! LOVE it! It truly is a gorgeous polish and you won't be disappointed!